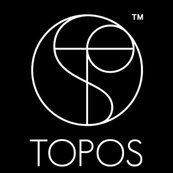 We are very fortunate to have met Alan and his Topos team. We engaged them a while back to help with our 3 bedroom apartment at Toh Yi Drive and they came up with an excellent interior design that allowed us to maximise our layout and provided tons of hidden storage. The hidden walk in clothes cabinet was a plus and the overall design had a bit of timeless quality to it, I must add. After more than 6 years, we still feel very comfortable in our home. Nothing feels outdated and we still love our interiors! We still get compliments for our home from all our guests. They having patience with us was something we would like to thank them for......in case we did not express that earlier....it is better late than never! Thanks a lot!